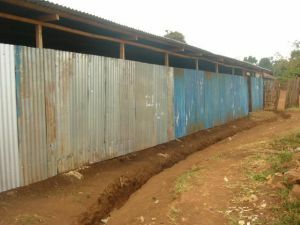 Faith Ministries in Meru, Kenya is run by Margaret Remi Thomas. Margaret is the widow of Brother Thomas, who was responsible for opening Kenya to Dave Duell and FMIN. Margaret's son, David Kinyua sent us a report that they have completed a church expansion, and have doubled the size of the church. David says "we are now very vigorous about preaching salvation and righteousness by grace and win many people to Christ. We have organized evening meetings to preach and pray for people from Wednesday until Sunday. I have been preaching the message called "Don't blame God". This is because many religious people are saying that the violence in Kenya was an act of God to show that He is mad at Kenya." David, Praise the Lord for keeping the good news and God's truth alive in Kenya. We are praying the people will be overwhelmed with the love of God when they hear your messages.